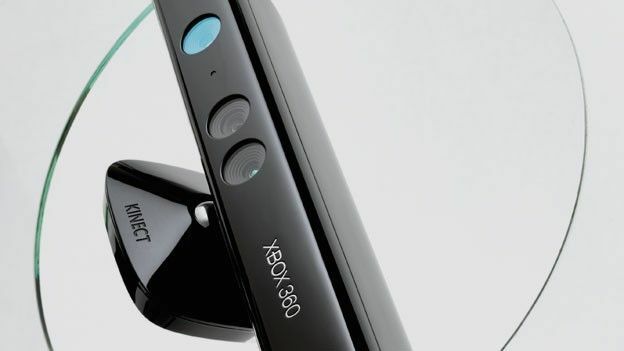 In a night littered with shock winners Microsoft has pulled of the biggest surprise of them all overcoming stiff competition for the Microsoft Xbox Kinect gaming peripheral to be officially announced as the T3 Gadget Awards Gadget of the Year 2011. Claiming its second award of the evening having beaten rival Sony to the honour of Gaming Gadget of the Year, Microsoft's Xbox Kinect has scooped the top prize at the 2011 T3 Gadget Awards seeing off the likes of Apple's iPad 2 and iPhone 4 as well as the Nintendo 3DS and Amazon Kindle to be crowned Gadget of the Year. Bringing gaming to life Kinect engages users in the gaming experience removing the need for controllers using gesture and voice commands to manipulate onscreen content in a family fun inducing way. Appealing to casual and core gamers alike Kinect removes restrictions turning your full body into a controller meaning jerking limbs and a wiggling torso are all it takes to become fully immersed in the world of motion gaming. Far from a gimmicky gaming accessory only to be broken out around Christmas or when the kids are on holiday, Kinect boasts a selection of features attuned to the lazy adult with voice prompts allowing users to skip, play, pause and eject content. “The Kinect is not only an amazing gadget for today, it's a mouth-watering technological prospect for tomorrow too,” said T3 Editor and Awards judge Luke Peters. Having snagged two awards for itself Kinect was just one of a fleet of premium technology to walk away from the 2011 T3 Gadget Awards with silverware. Phone of the Year, Tech Brand of the Year and Tech Personality of the Year all produced unexpected winners with a host of top tech on show across all 19 categories. For a full roundup of winners check out the T3 Gadget Awards 2011 Live Coverage. Doom and Quake creator says Kinect is 'fundamentally poor"